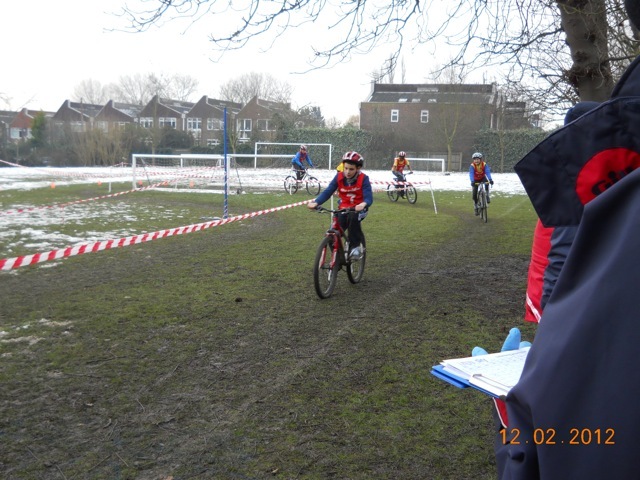 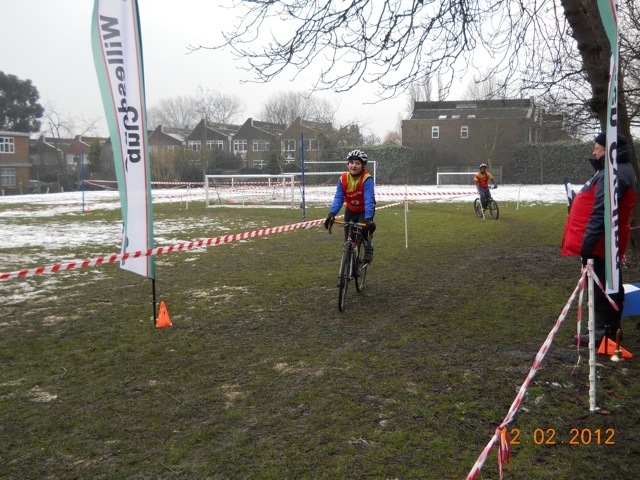 Some photos of The Willesden CC Go-Races as Malorees today. 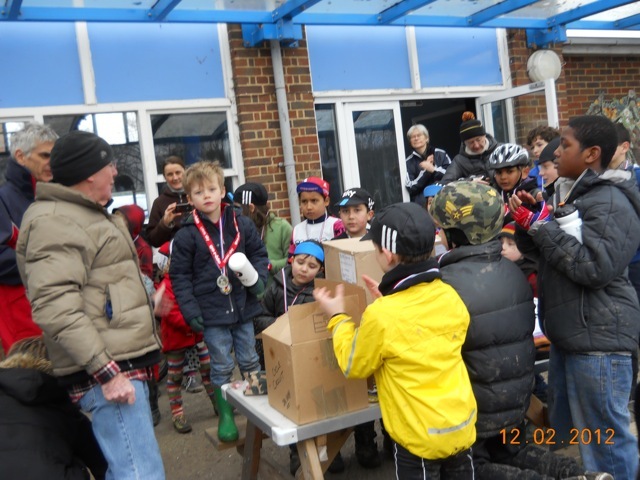 19 kids took part in this, the final event of the series. 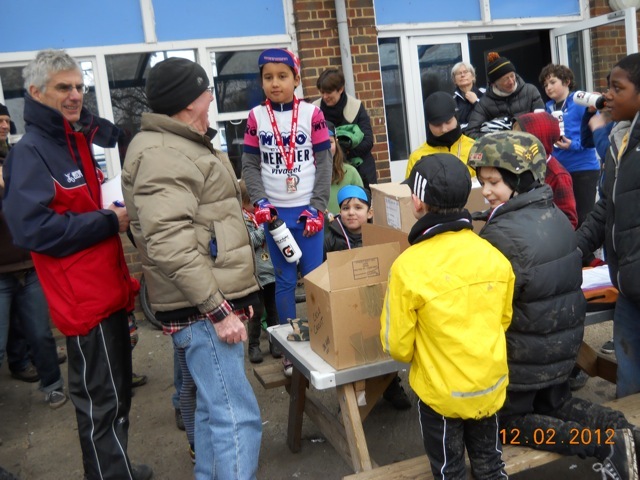 Temperature were minus 3 at the start but fortunately warmed up to a tropical 6 degrees by the finish. 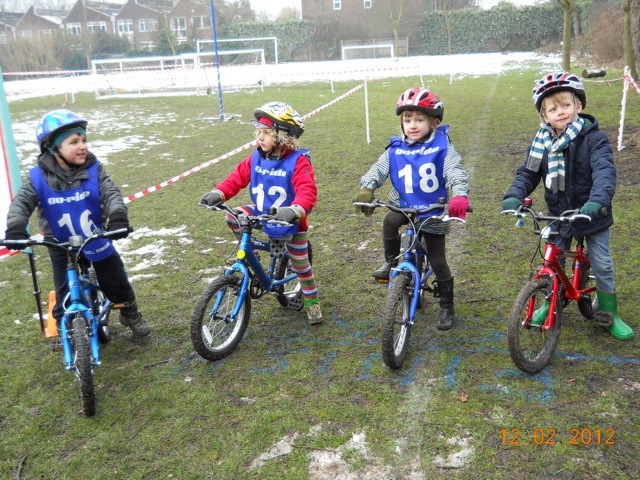 About a dozen under 5s took part in the strider bike competition on the playground. 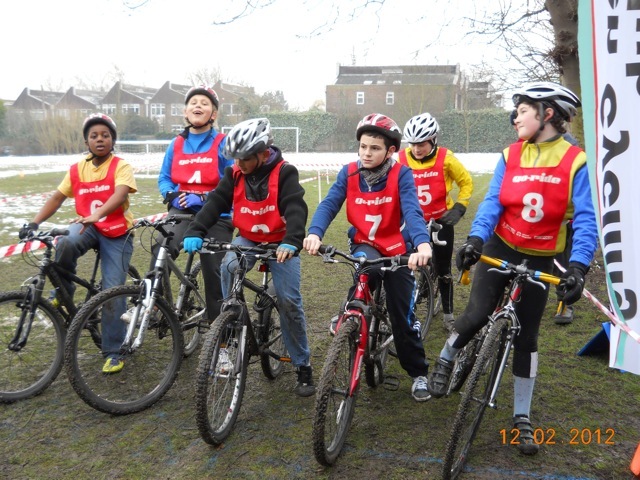 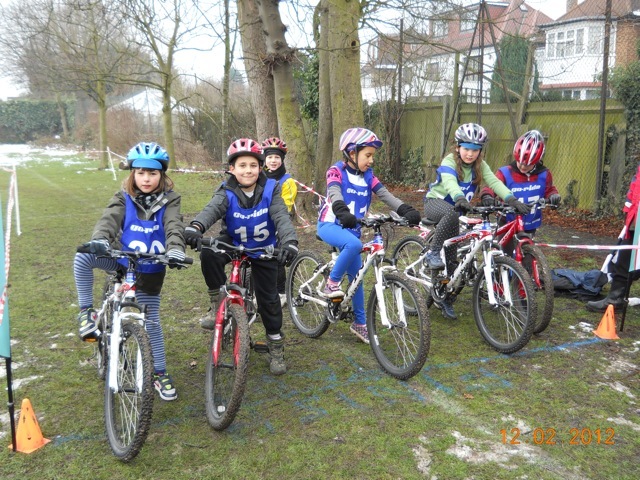 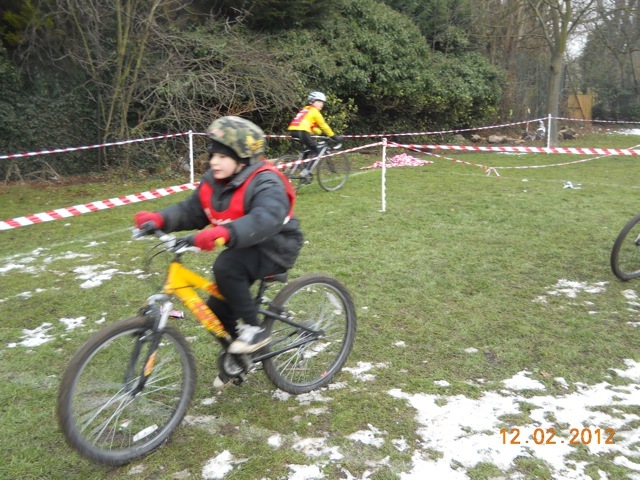 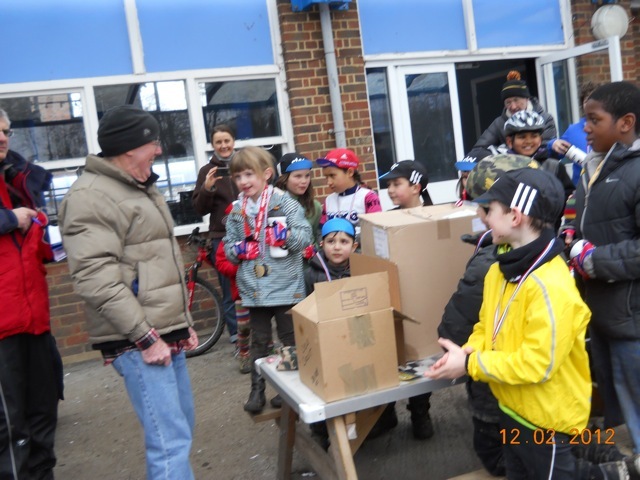 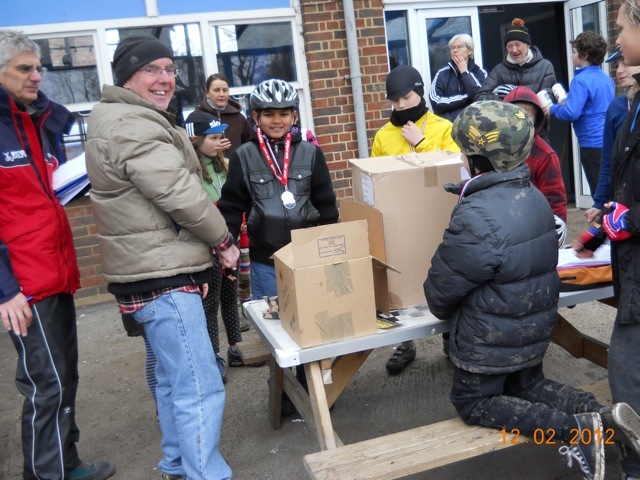 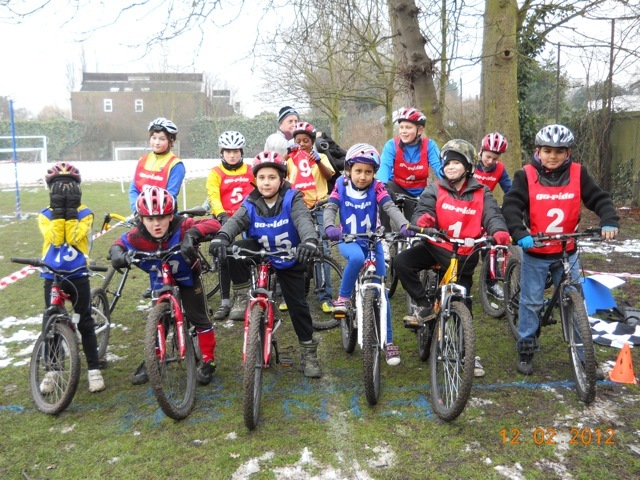 As a token of their gratitude for being included in The Willesden CC session, a Strider Bike was donated to the school. 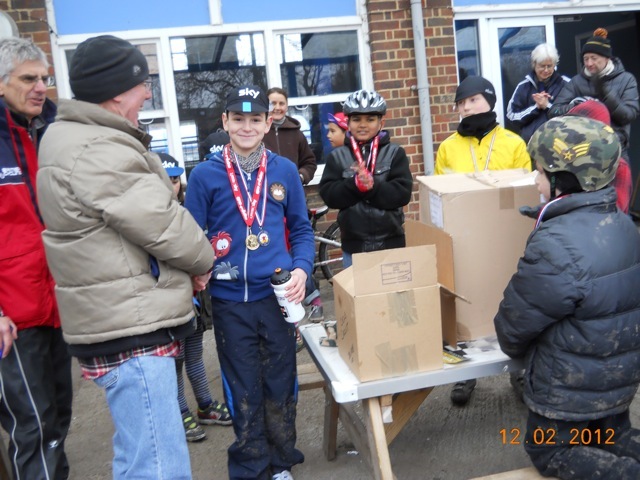 Under 11s–1st Lazslow Macilwaine Parry, 2nd Doune Henderson-Kirk, 3rd Rae Tarbox. 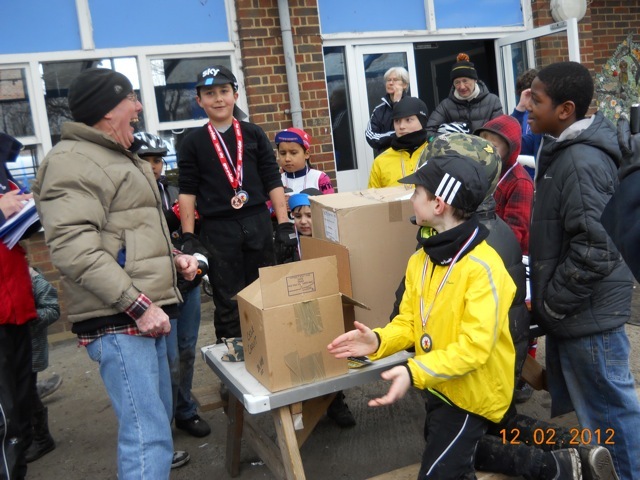 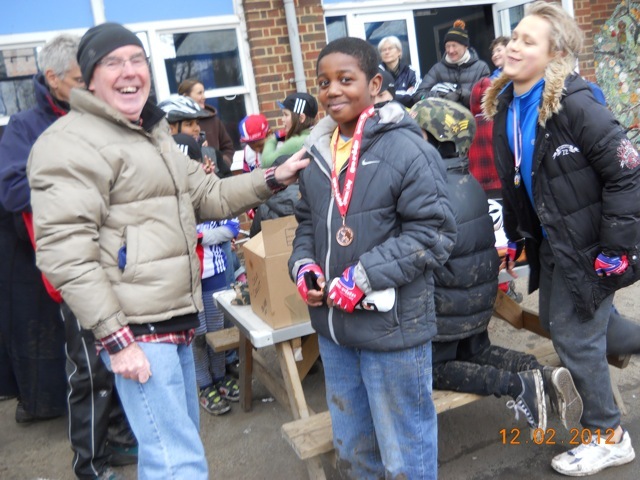 Under 12s–1st Robert Bejenaru, 2nd Raj Jessa, 3rd Rahmed Thompson- Hinds. 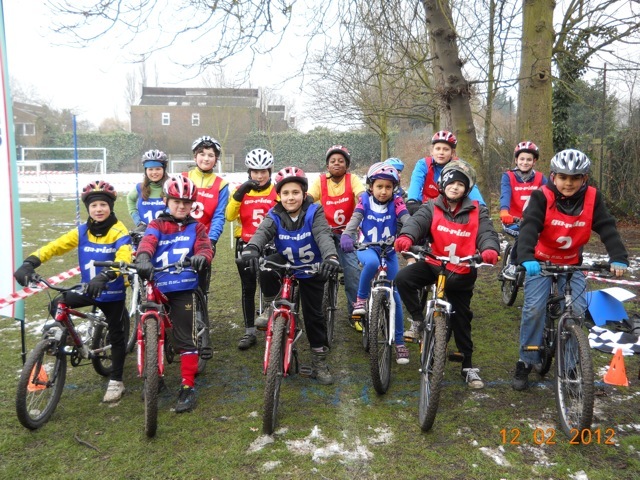 Great work Kel & Co. Just sent 3 photos to the Willesden & Brent Times. 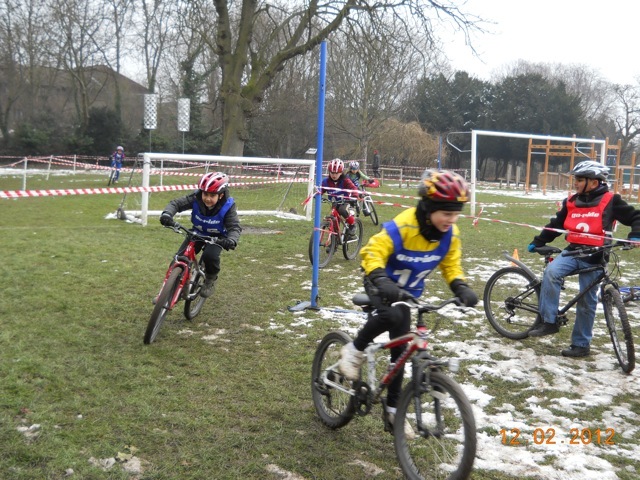 You won’t even get a lay in next Sunday as it is the Reliability Trials.